Election season in Nigeria is in full force. On social media, it’s inescapable with political debates being shaped by dramas and controversies and Twitter newly installing a special emoji to enable Nigerians curate the upcoming elections in tweets. It’s somewhat exciting, even though we are still being presented with political megaliths like President Buhari and with a strong opposition in Atiku Abubakar, a party binary of PDP and APC that we have been locked in for years despite the emergence of a third party force. 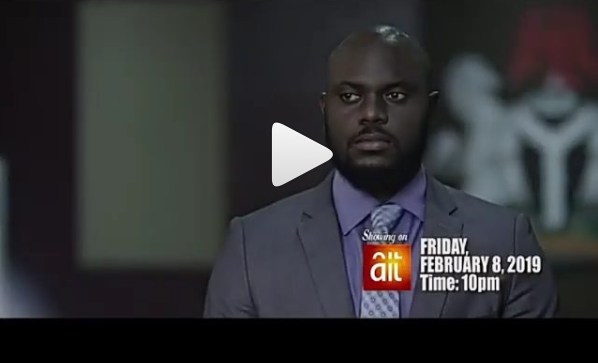 Ayoola plays a young presidential candidate and the movie portrays the challenges and rigours associated with running for an office of that status. Also starring Joke Silva, Rahama Sadau, Bryan Okwara, Bimbo Manuel, Victor Decker, Rekiya Atta, Kayode Aiyegbusi and Ivie Okujaye, here’s the trailer below.